There are many reasons why a Kenyan should not miss being in Nigeria. Key among them is the diverse similarities between Nigeria and Kenya; Nigeria has Lagos the way Kenya has Mombasa; Kenya’s Nairobi is equated to Nigeria’s Abuja, as Nigeria’s Port Harcourt is equated to Kisumu in Kenya. There is oil rich delta state in Nigeria as there is Turkana County in Kenya. When it comes to governance, Nigeria has federal states as Kenya also enjoys devolved governance in the form of forty seven Counties. There is an institution of the governor in each case, heading the state in Nigeria and the county government in Kenya. If we go by analogy of the communities in Nigeria and Kenya , we readily come to indisputable similarities that the Nigerian Hausas are cancelled out by Kenya’s Gikuyus, Igbos by Luos, Yorubas by Luhyias and Fulanis by the Maasai. The neigbourhood of Nigeria wallows around the former communist state of Ghana as initially led by Dr. Kwame Nkurumah, just the same way Kenya’s significant neighbour is the socialist civilization that had been historically experienced in Tanzania as initially led by doctor Julius Nyerere. When it comes to persons, we still have a lot of similarities to observe between these two great nations; Nigeria threatens the Western part of Africa with an immense population as Kenya reigns in the Eastern part of Africa. It was observed by Professor Ali A. Mazrui ten years ago that Kenya and Nigeria enjoy the human resource glory as Congo and South Africa ride the crest of enjoyment in the abundance of mineral resources. However, when we try to point out particular cases that compare Nigeria and Kenya in terms of personalities, you will see that Nigeria’s Wole Soyinka enjoys a unique station of intellectual audacity that was honoured with a Nobel Prize; the same way Kenya’s Wangare Maathai had an unbowed intellect that similarly attracted the attention of the Swedish academy. Both Soyinka and Maathai have their talents going beyond one social perspective, from literature to politics, on to environmentalism, and so forth. In this context, we are not wrong to put Achebe and Ngugi on the same pedestal; Achebe is the father of Nigerian written literature, an accolade that easily goes to Ngugi wa Thiong’o in Kenya. The strong point of similarity between Ngugi and Achebe is that apart from the two being the literary giants in Africa they have had the literature Nobel Prize slip through their fingers like an eel fish in mud. Reasons not known. 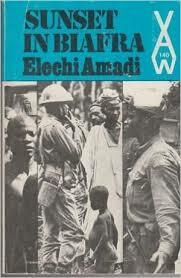 As we mourn Captain Elechi Amadi of Nigeria, we are also forced to decipher a literary counterpart for Amadi in Kenya. A critical examination of literary history and textual styles between Kenya and Nigeria will steer us to strongly settle on Meja Mwangi, a Kenyan writer who has the ability to describe like Amadi. They have both wallowed in poverty in spite of their excellence in writing; they did not succumb to ideology; and they have never pulled intellectual crowds and hullaballoo the way Ngugi and Achebe are able to. A testimony to their low profile existence can be deduced from Elechi Amadi’s visit to the University of Nairobi some ten years ago; no one was interested in receiving him. The distinct similarities between Amadi and Mwangi is visible in the literary virtues of simplicity, humour, detail, description, persistence, empathy, and village orientation found in their works. However, beyond simplicity, Amadi differs from Mwangi in the sense that he was anti-Igbo neo-nationalism, whereas Mwangi is anti-colonial. Amadi derives his humour from the Biafra politics, and Mwangi from Mau Mau. This is overtly seen in their respective books; Sunset in Biafra and Carcase for Hounds. This difference between Mwangi and Amadi forms the centerpiece for this elegy for Captain Elechi Amadi. I met Amadi through his books in August 1986. I had just been circumcised, and anyone aware of how the Babukusu community of Kenya and Uganda strictly observe the rituals that go with cult of circumcision would understand I was an inmate in my mwikombe, a room of the newly circumcised. During this period, I am excluded from duties of herding my father’s cattle and doing other domestic errands. This freedom gave me an opportunity to ransack in my elder brother’s box, looking for what, I did know. I only took out a story book; its title was God’s Bits of Wood. There was a picture of the writer at the back cover, and he had a name that was difficult for me to pronounce; Sembene Ousmane. What attracted me to this book was the tobacco pipe in the mouth of the writer and the long names of the characters in the book, like the name Ramatoulaye. I was only in class five of my primary school education and I did not fully understand the book. The English used in this book was unfairly esoteric; also the theme of Railway workers strike did not tickle my youthful appetite. I returned the book, and then fished out the next one. This time it was a novel, the covers were red and soft in texture. 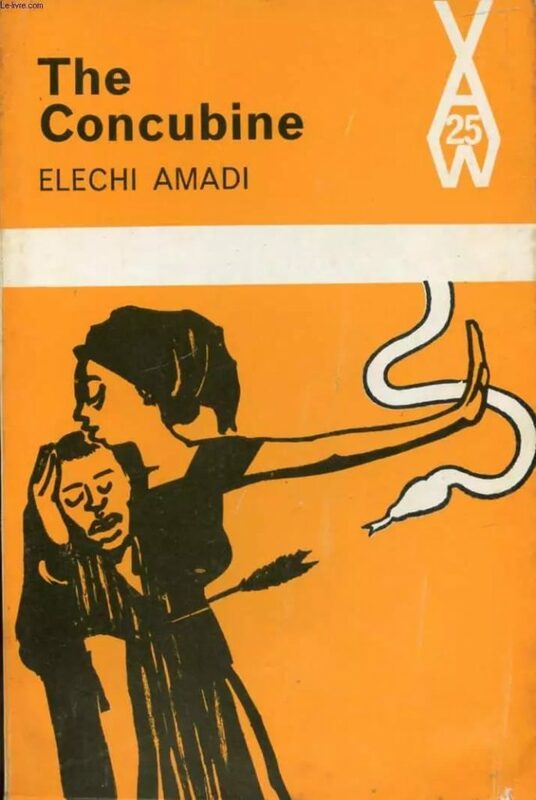 The book was The Concubine by Elechi Amadi. My God! The book was simple; its characters were an exact description of my uncles, cousins, clansmen and village men. The story was thrilling, sensational and engaging. The meaning of the word concubine finally came out by itself without the need to look in the dictionary. Madume swiveled my new manliness given that I had just been circumcised; Wodu Wagiri, the village wag, was just a saucer to my initial experience of circumcision songsters. Ihuoma made me envious of the sea goddess. The book stirred a craving that led to me wanting to everything published under Heinemann’s African writers Series. That is how I went on to discover Achebe, Nkem Nwankwo, Flora Nwapa, Cyprian Ekwensi, Peter Abrahams, Naquib Mahfouz, Alex La Guma and other post-colonial writers like Okot P’ Bitek and Taban Lo Liyong. Unfortunately, Heinemann’s African Writers Series was closed down some years later. Henceforth, in the words of Austin Bukenya, the textology that goes with the textactics to be adapted in the textualities for African literature of our time faced a challenge; Marketing, editing, circulation, publicity, payment of royalties and jacket design for the books became mediocre. The pan-African nationalist spirit that the African Writers Series carried across the world has now been reduced to a negligible item by the follies and inefficiencies that accompany neo-nationalism of the respective African countries. The east African education publishers is focused on the writers from Eastern Africa, as if it has an assurance that it is not intellectually betraying the consumers of its products. These hurdles excised books by Elechi Amadi from public circulation in Eastern Africa. It was by chance that I happened on Amadi’s Sunset in Biafra, The Slave, The Great Ponds and Isibiru in 2013 when I was a regular visitor at the Lokiriama Catholic Library in Lodwar. In conclusion, I find it worrisome the way Amadi deals with the Igbo yearning for freedom from Nigeria in Sunset in Biafra, while at the same time the Igbos harshly oppressed minorities like the Ikwere communities living in Eastern Nigeria. How do we then harmonize Amadi’s Biafra stand with Chimamanda Ngozi Adiche’s stand in Half of a Yellow Sun? Answers can be many, but mine is to accept the death of Captain Amadi as another Sunset in Biafra. Alexander Ernesto Khamala Namugugu Opicho was born in Bokoli village, Bungoma District, in the former Western provice of Kenya. He went to primary and secondary schools in Western Kenya. He studied Accountancy, then governance and leadership at the University. He is currently pursuing a Phd course in management. He has two wives; Literature is the first. He has published poetry with Ghana poetry foundation, the East African Standard and on AfricanWriter.com. He has published online more than two hundred essays, several literary criticisms and over six hundred poems. His five books are with the publisher. 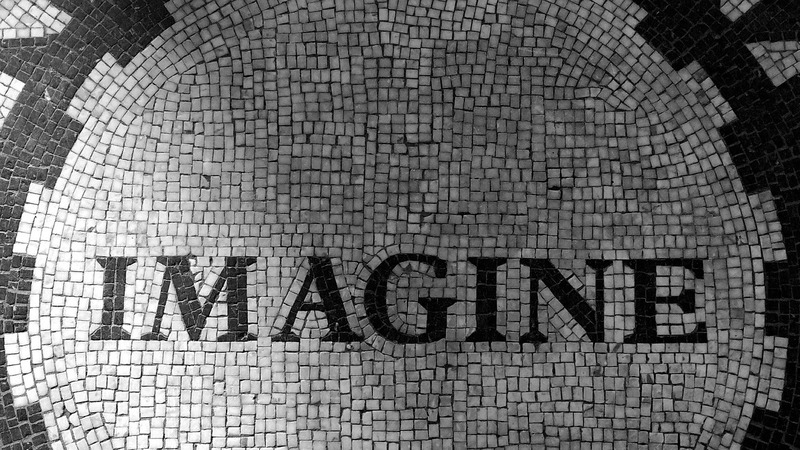 He believes that the praxis of literature is the practice of freedom.